Emphatically, I have been radicalized by Gen. Slava Kiir and his Nuer golden boys. Goodbye silence and certainly, the reasoning with morons. On December 15, 2014, I was incredibly horrified and extremely shocked by the kind of evil Salva Kiir was capable of when I learned that thousands of innocent Nuer civilians were massacred simply because they were Nuer!! The event was personal to me, not only because I am virtually a member of the Nuer nation, but more so because I had held Gen. Kiir in high esteem and believed that we were sharing the same aspirations and beliefs. Evidently, when Kiir first began to commit the massacre of the Nuer citizens, he had only one overarching objective on his pernicious mind: " No captives or prisoners, kill them all," he was quoted as saying! 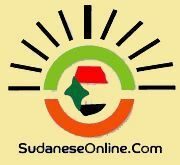 That had prompted very many human rights organizations to infer that the regime's ultimate goal was actually intended to wipe out the Nuer, who have proven to be the impediment in establishing an outright Jieeng state in the country. A year and plus later, no credible investigation had been carried out, and certainly no one had been held accountable and, Kiir remains president! And while one can argue that Gen. Kiir may not have fired a single bullet himself at the Nuer people, there's just no denying that he instigated it and carefully crafted the shameful plot. He will never be able to escape this history. Therefore, he must be held accountable. Under this dictator, our reputation is at all time low. Matter of fact, we have become a laughing stock on the world stage. Even the closest allies are calling South Sudan a" failed state." But to the Nuer people, Kiir is simply known as a " cold blooded killer." Certainly, that's not a good position for anyone to be in, much less a president of a country. To the Jieeng credit, they are truly blessed with a talented crowd of some of the most educated and intellectuals, ironically, they don't know how the govern. In my 7 years as an anchorman and reporter at Juba radio, I had seen more than my share of the greediness excercised by the Jieeng-led defunct former High Executive Council. Apparently, the current Jieeng-led regime didn't learn anything from the past mistakes, which led to the division of the region in 1983, better known as " Kokora." And with the country's direction hanging in the balance, the time for Gen Kiir to move on or be ousted is right now... not tomorrow. He has failed to lead the nation, and there is really nothing he can possibly offer to the heal the bleeding country. Meanwhile, Dr. Riek Machar who was seen by the marginalized South Sudanese as a savior and a pathfinder they had hope will lead them to the promise land, failed to seize the moment and to live up to their expectations. Some fear that he dose not have enough fire in him to face the the dire situation. Therefore, if you are a South Sudanese citizen who thinks that you have been treated unfairly, do something about it!! 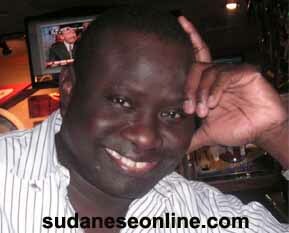 The author is a former anchorman/reporter at Juba radio. He can be reached at mailto:[email protected]@hotmail.com.